Have you entered our Mothers Day competition? 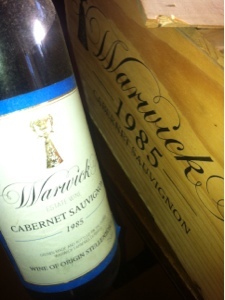 You could win Warwick Wine for a Year! Warwick in Wonderland - The best kids entertainment this rainy Easter Weekend!! 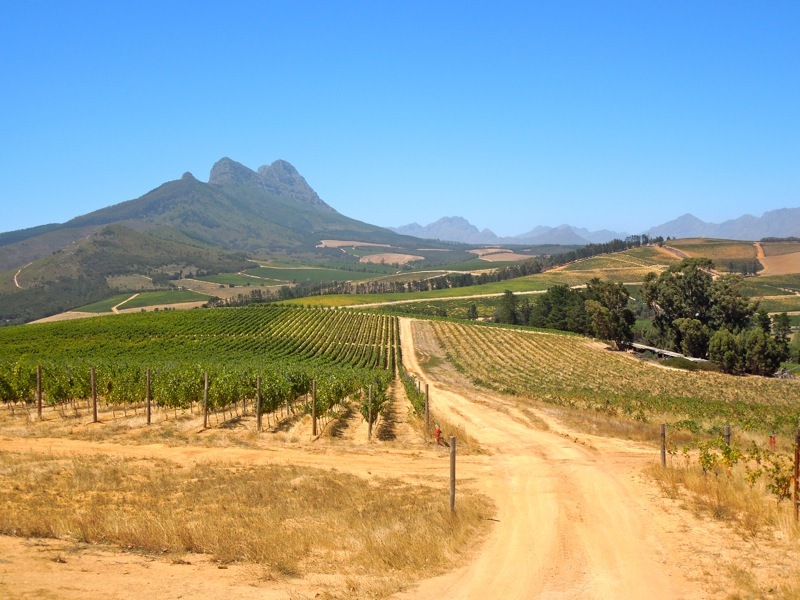 Back in Cape Town, business students headed to Warwick Estates in the famed Cape Winelands with Dr. Alysse Morton, this semester’s professor of Operations Management and Global Management. Morton, a Semester at Sea alumna who last sailed as a college student herself, brought her two classes on a one-of-a-kind field trip to the vineyards to better understand how a small business operates in today’s global market. 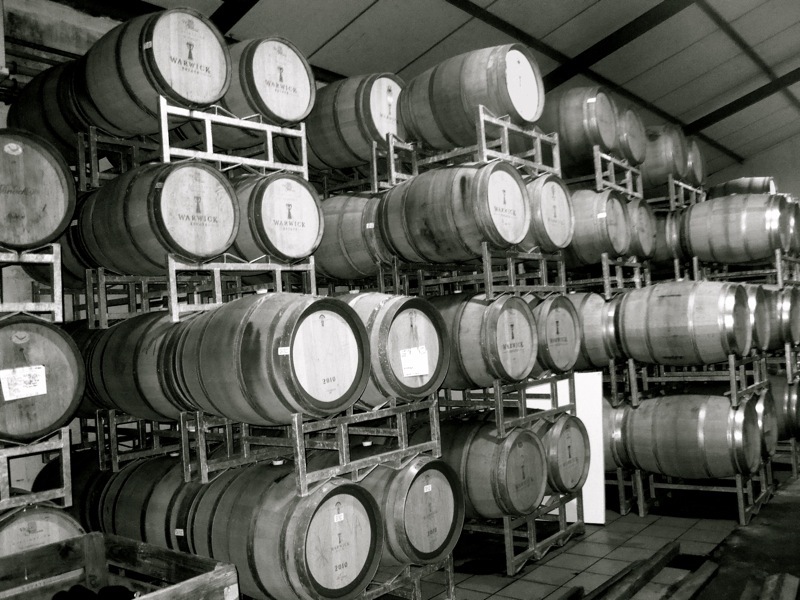 Warwick Estates is a third-generation family-owned winery in Stellenbosch, an area of the Cape famous for its vineyards, and the small company invited SAS students to witness wine production firsthand. “We toured the facilities first,” explained Taylor Goddu, a business and psychology student from the College of William & Mary, “then we went into the vineyards. Our guide literally plucked bunches of grapes straight from the vines for us to try them. They called it a ‘Winelands Safari,’ and they referred to the different varieties of grapes as members of the Big 5.” To clarify, the Big 5 is a term typically used on safaris to refer to big game like elephants and rhinos which, coincidentally, SAS students also saw in South Africa. Warwick Estates, despite being a small operation in a competitive region, has crafted a sustainable industry and carved an international business model from production to export and every step in between. “Their company was interesting because nothing goes to waste at all,” Goddu continued. “They have a compost area and they pick the grapes, ferment, and filter them on site.” Additionally, Goddu explained, the family company has a remarkable international reach. Wine barrels are made using wood from France and the Balkans, and Warwick’s two main export countries are the USA and China, proving that everything is interconnected in today’s business sphere. The students ended their day at the vineyard gathered around a long outdoor dining table on the sunlit brick patio. The winery served freshly baked ciabatta loaves, oak-smoked salmon, and sun-dried tomato pesto as the sun peaked in the afternoon sky. How’s that for a business field trip? Goddu, a student in both of Morton’s classes, previously visited Bamboosero Bike Company in Ghana, and will soon be touring the Coca-Cola bottling plant in Shanghai along with her business classmates. Click here to read Dr. Alysse Morton's Bio. Click here to learn more about Warwick Estates.